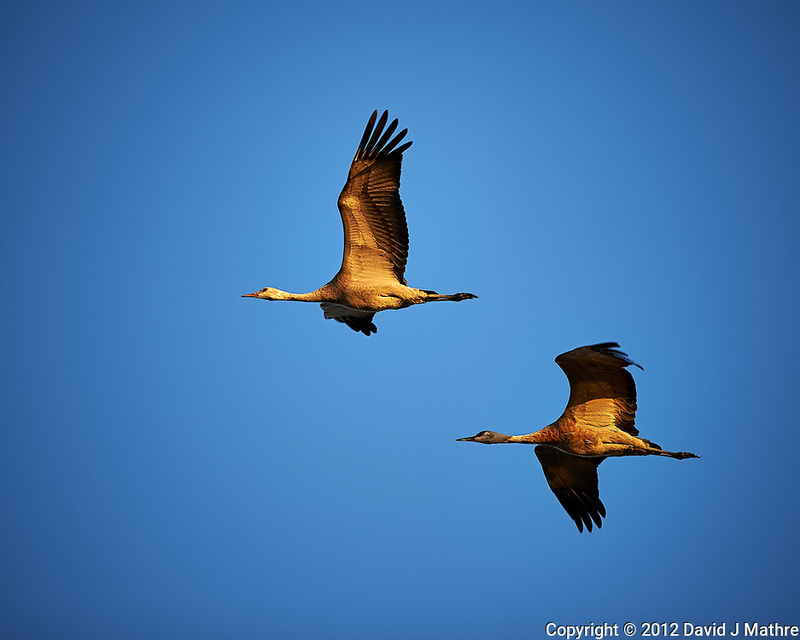 Pair of Sandhill Cranes in Flight. Bitter Lake National Wildlife Refuge near Roswell. Image taken with a Nikon D4 and 300 mm f/2.8 VR lens (ISO 100, 300 mm, f/4, 1/800 sec).